1. 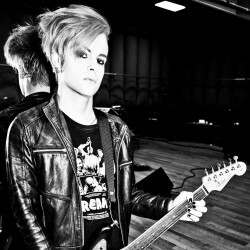 You originally auditioned for Adam Lambert’s band as a guitarist, but joined as a bassist and are now back to guitar. What would you say are your main musical influences and have you been able to incorporate them into your current work with Adam Lambert? Is there one particular record or song that changed your life or how you think about music? To be honest, I've always been a guitarist. It took a little while to get the finesse for the bass, since I use a pick and was a guitar player playing bass (which really upset a lot of traditional bass players haha!). My influences for the bass were Twiggy Ramirez, Simon Gallup and Cliff Burton. Adam's first album 'For Your Entertainment' was sort of his homage to glam rock. So my style of bass playing worked well for the live show. Switching back to guitar has been so much fun for me. My main influences on guitar have always been Jimi Hendrix, SRV, Slash, Kirk Hammett and of course Prince. When I first heard the songs, I knew they were going to be SO much fun to play live and I already had ideas right off the bat. It's hard to say what my favourite song is, because there are so many different styles on the album and they're all really fun to play and think of guitar parts to fit live. When this page first started, it was a personal project of mine that I did for fun, I wouldn't have guessed that the page lasted this long with a vast growing number of pics on it. 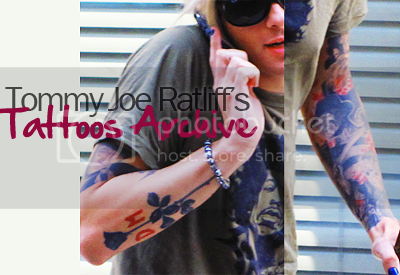 When I first started, I used my personal photobucket (the one named battlerainbutterfly) to host all the pics. Feel free to follow our account on there, browse around (the pics are organized based on the type of events), or hotlink any pics you need. This is a request to NOT HOTLINK FROM OUR OLD PHOTOBUCKET. If you see battlerainbutterfly on the URL of the pic you want to post anywhere (LJ, twitter, tumblr, forums, etc) please refrain from hotlinking, rehost them to your own server first. If I see you hotlinking any picture from that photobucket, I will have to delete it to keep our bandwidth from exceeding the limit. We will start a new challenge at tjr_challenges - a 20in30 challenge. Yes, you read right, you will have 10 days more to finish the themes. If you're interested, you can check out THIS POST and vote. We would love to get as many participants as possible. Article on Tommy Joe on Ovation Guitars site, regarding the new acoustic bass he was playing on American Idol on March 10, 2011. A few online blogs/sites have mentioned Tommy's NOH8 photo. 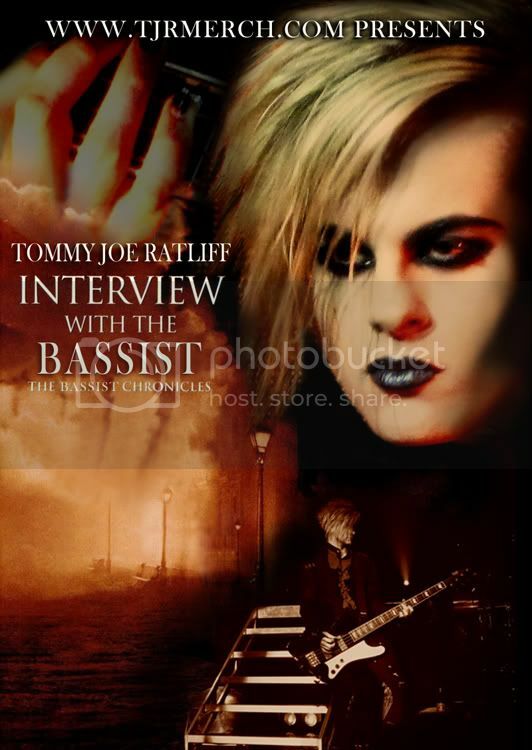 Don't miss this interview at tjrmerch, Tommy answering 10 questions asked by contest winner asherly89. Tommy Joe Ratliff with Adam Lambert's other band members and dancers featured in Japanese magazine 'Movie Star' April 2011 issue. - Inspired by this post and the format is a complete rip off. Soo... over the past few days I had an "overdose" Supernatural and so I decided to make some icons... but since I wanted to make some new "Hawaii Five-0" icons for a while now, it wasn't of course the only thing I did... and in the end it's a "Multi-Fandom" Icon post including also "Grey's Anatomy" and "Adam Lambert/Tommy Joe Ratlif" aka "Adommy" ;-) I hope, you like them! Monte Pittman performed Jimi Hendrix's 'Hey Joe' at the Mint last night - and changed the words a bit LOL. 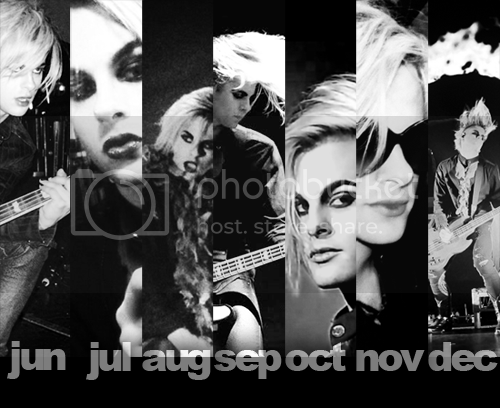 149 Icons - Mostly Adam Lambert "related"
Tommy Joe Ratliff - "Living it"
Credit for the pictures goes to their respectful owners! I don't wanna steal, so if someone wants credit for his picture or wants me to delete the icons I made with his pictures - just ask ;-) I don't bite! Glam Nation : It's a Wrap! While we're still working with a lot of pics from two latest Glam Nation shows, the tour is officially over. We would like to thank every Adam and Tommy fan all over the world who shared their Glam Nation pics on the internet, it's an honor to compile them on our site. With your support, we're going to continue updating the page with pics of Tommy both from past and future events. Remember that you can send your pics to us anytime, via LJ comment, twitter or email. Again, we thank you for all of your support. 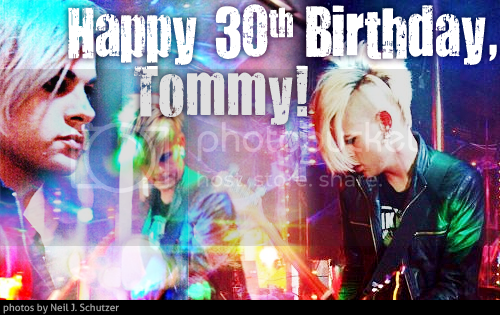 A challenge community for fans/lovers of Adam Lambert & Tommy Joe Ratliff!